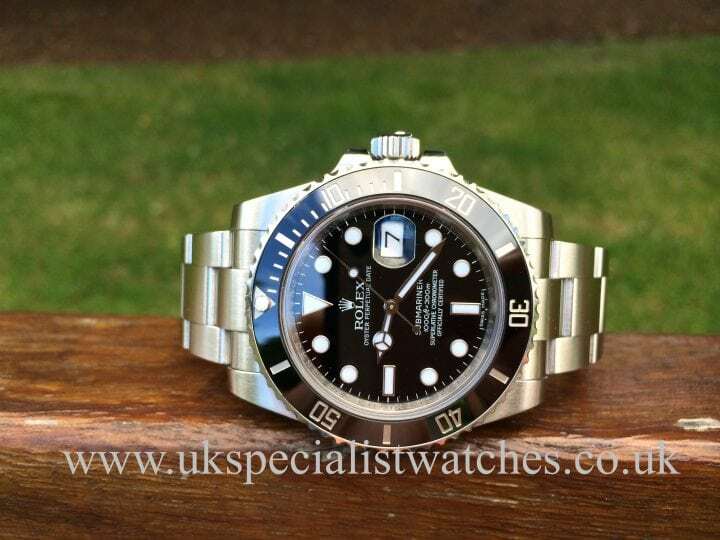 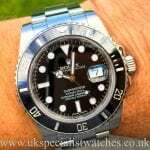 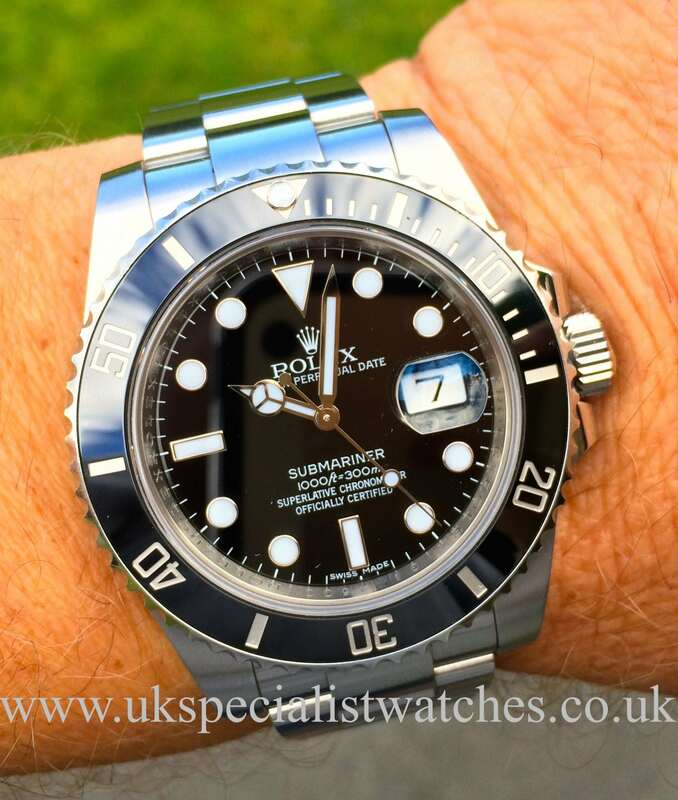 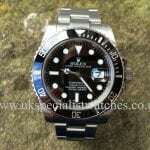 The Rolex Submariner,One of the world’s most popular divers watch had a huge Facelift in 2010. 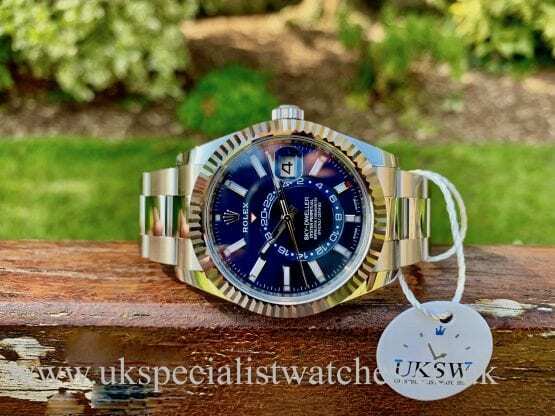 The 40mm stainless steel watch case was beefed up some what and appears to be a much bigger watch although still having the 40mm case. 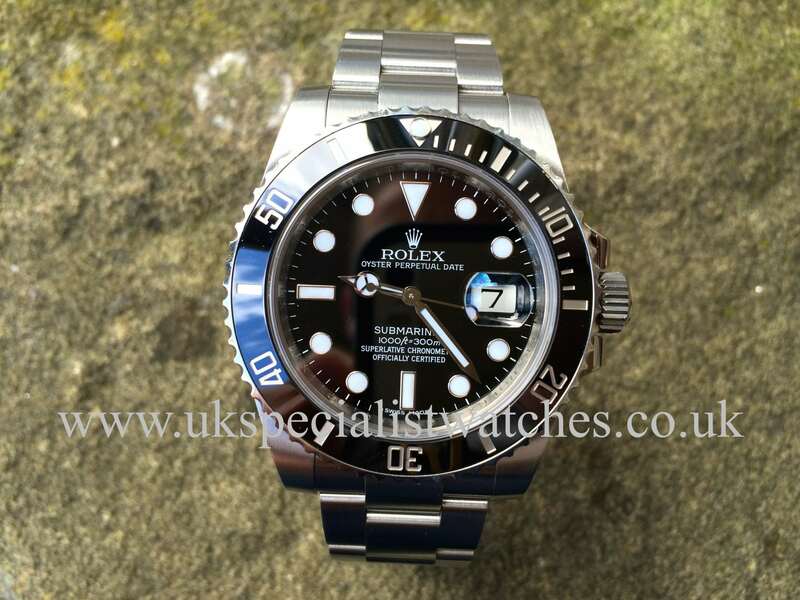 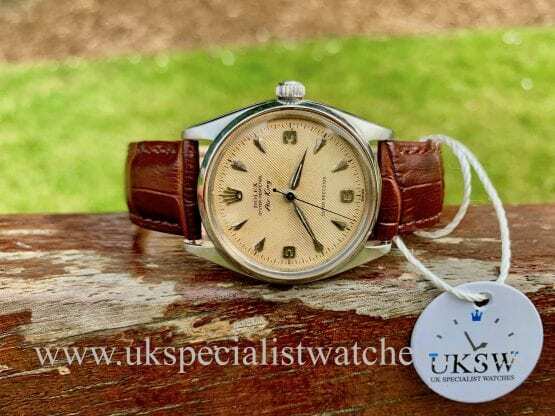 Also a virtually scratch proof ceramic bezel was added by Rolex, the movement was tweaked & fitted with a tougher hairspring. This new model has become even more popular!!.. 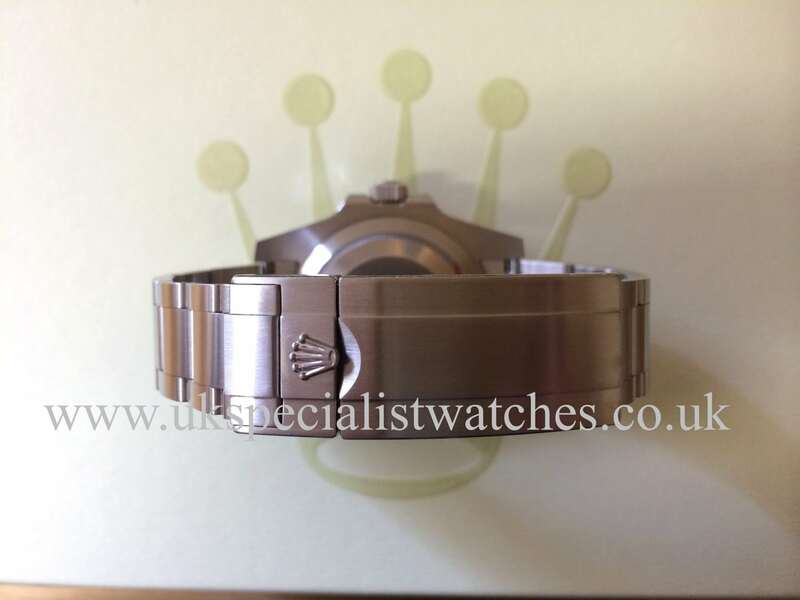 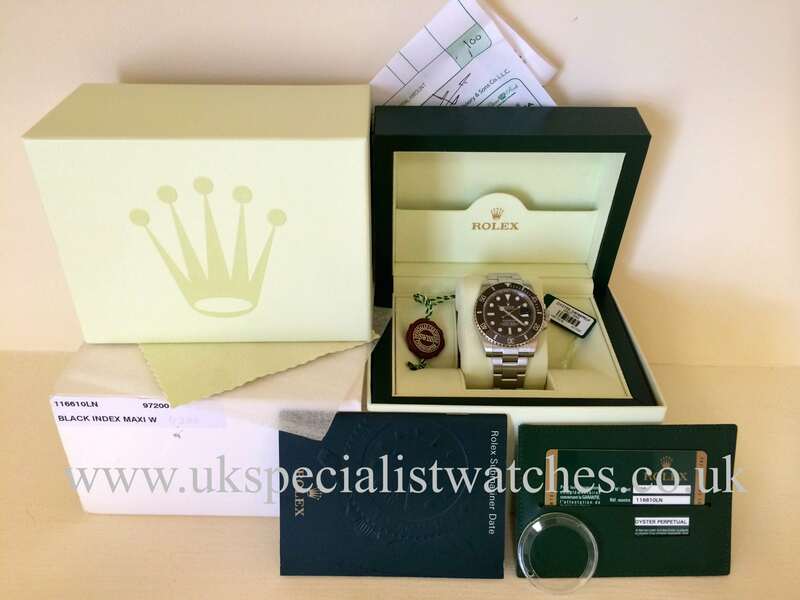 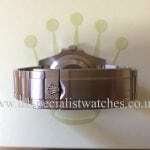 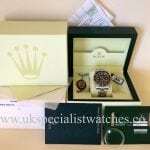 Our watch is totally complete with a full set of Rolex boxes papers ,swing tags bezel cover. 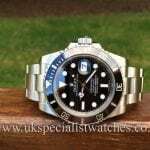 Supplied new june 2012.